Lexington, Ohio. 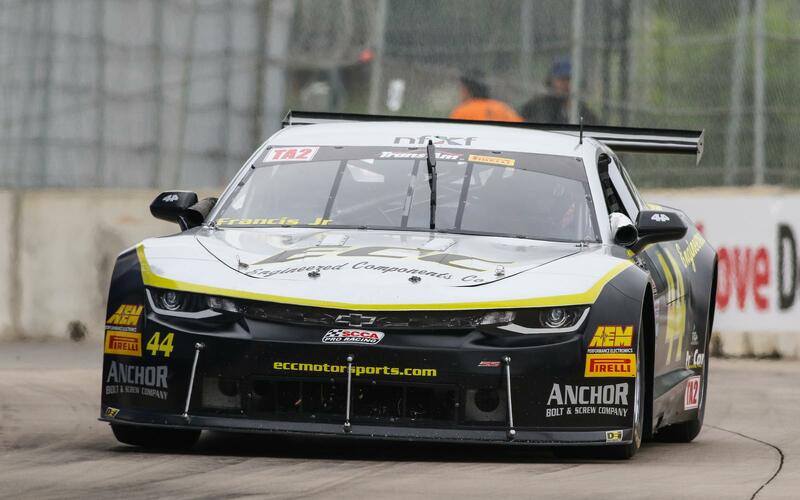 [August 08, 2018] – NASCAR Hall of Famer Bill Elliott will join the Trans Am Series presented by Pirelli’s TA2 class for the First Energy Muscle Car Challenge at Mid-Ohio Sports Car Course, August 9-11. Elliott will join veteran TA2 team ECC Motorsports and will pilot the No. 19 ECC/Anchor Bolt and Screw Chevrolet Camaro, with Mid-Ohio marking the motorsport veteran’s second ever appearance in the Trans Am Series, his first a 1989 one-off appearance at in Des Moines for Jack Roush. Elliott, the 1988 Winston Cup Champion, will pair with defending TA class champion Ernie Francis, Jr., now also plying his trade in the TA2 class, under the ECC tent, giving the team a potent one-two punch. Elliott will not be the only driver with NASCAR connections entered in TA2 competition in the near future, with young talents Brandon Jones, Christopher Bell and Matt Tifft joining Mike Cope Racing Enterprises at both Mid-Ohio and Road America. Chase Briscoe and Ty Majeski will each make an appearance in the Newman Wachs No. 00 Ford Mustang at Mid-Ohio and Road America, respectively; while Scott Lagasse, Jr., in the No. 95 SLR/Fields Racing Chevrolet Camaro, will continue his Trans Am career at both events. The Mid-Ohio contest will be live streamed on Motor Trend On Demand, with the First Energy Muscle Car Challenge taking place at 12:40 PM ET Saturday August 11. The race will also be showcased as part of Trans Am weekend highlight shows on CBS Sports Network, at 2:00 PM ET on August 26th. Fans can keep up with the event and all of The Trans Am Series presented by Pirelli at www.gotransam.com, on Facebook at www.facebook.com/gotransam and on Twitter at @gotransam. 2017 Champions include: Ernie Francis, Jr. (TA), Gar Robinson (TA2), Mark Boden (TA3) and Brian Kleeman (TA4). All Contents © copyright EEC Racing 2019 All rights reserved.